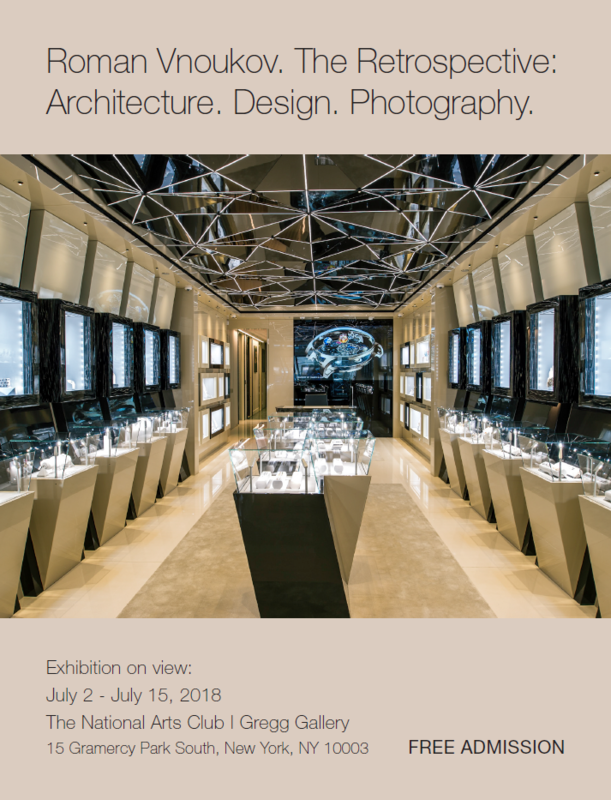 NEW YORK, July 11, 2018 /PRNewswire/ — World-class architect and interior designer Roman Vnoukov and the Russian American Foundation, a New York-based non-profit organization, offer an intricate look at some of the master’s most exquisite designs brought together as part of the photography exhibition «Roman Vnoukov. The Retrospective: Architecture, Design, Photography» at the National Arts Club, Gregg Gallery, from July 2 – July 15 (Mon. 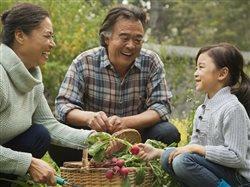 – Fri. 10 a.m. – 5 p.m., Sat. 11 a.m. – 5 p.m.). The exhibition features exclusive photographs of some of Vnoukov’s finest design work from all over the world, including his latest project, which was completed this past April. Vnoukov successfully re-conceptualized and re-designed Jacob & Co.‘s New York’s flagship boutique and corporate headquarters, channeling the ethos of the company’s signature timepieces through the futuristic aesthetic of a spaceship, employing never-before-used technology. Vnoukov’s retrospective exhibition is presented as part of the 16th Annual Russian Heritage Month® – a city-wide celebration honoring the culture and achievements of the Russian-speaking American community. Press is invited to attend a special closing reception on July 12, 6 p.m. – 8 p.m., at the Gregg Gallery of the National Arts Club. Design Studio Romani is renowned for its bespoke designs and attention to detail, facilitated by a team of talented professionals with extensive experience ranging from architecture, textiles, and design. Vnoukov’s approach is unique in the way he conceptualizes his projects, creating a unique vision through every element of the design. The Russian American Foundation is a non-profit 501(c)(3) organization, founded in 1997 to encourage interest in and understanding of Russian culture among all communities in the US, as well as to promote reciprocal interest in and understanding of American heritage among global Russian-speaking communities. Founded with the support of the City of New York and Mayor Michael Bloomberg in 2002, RAF’s Annual Russian Heritage Month® continues to offer New Yorkers a vast array of cultural events – art and photography exhibitions, public talks, music and dance performances, public festivals – to showcase the achievements of the U.S. Russian-speaking communities and promote international dialog.